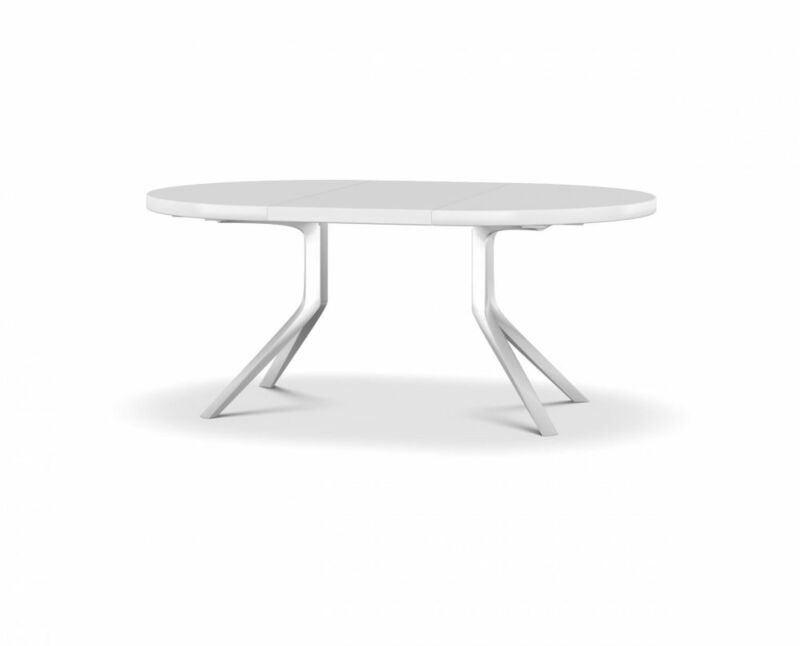 The simplicity and minimalism of the Oops extendable round table are what give it its dynamic visual impact. A perfect round table which can be turned into a larger, oval table while losing nothing of its original flair. The extension is facilitated by parting the table to reveal a central tray containing the extension, which then fits seamlessly into place to create a perfect oval. Beautifully manufactured by true artisans and craftsmen, the cast aluminium legs on this extendable round table are slightly curved to balance the overall design. The legs are firmly anchored to the middle of the table base so that they flare out from underneath for a pleasing effect that doesn’t detract from the dramatic effect of the round top. The main part of the table is made from honeycomb thick MDF, and is then lacquered to give a rich, elegant finish. The Oops table is available in black or white, or a monochrome version where the legs can be painted to contrast with the top. Not only a wonderful piece for the kitchen or living room, the exquisite simplicity of the design is ideal for the office, boardroom or conference room.